The Supreme Court which quashed the act envisaged to set up National Judicial Appointments Commission finding it "unconstitutional" and an "affront on independence of judiciary" today initiated steps to infuse more transparency in the functioning of the collegium system which it had promised. After hearing Attorney General Mukul Rohatgi, Solicitor General Ranjit Kumar, senior lawyer Fali S Nariman (who represented Supreme Court Advocates on Record Association), senior lawyers Rajeev Dhawan, Anil Divan, Arvind Datar, K K Venugopal and Gopal Subramaniam, the constitution bench headed by Justice J S Khehar asked them to furnish further suggestions on four counts—how to improve transparency in the process of judges selection, what changes to make to the eligibility criteria, on formation of an office of the collegiums in the supreme court which will be called the secretariat and on how to deal with complaints. "We are flooded with emails giving suggestions..the diversity is tremendous, unimaginable. We cannot ourselves say we accept this suggestion or that other. Instead it would be better if someone from both sides (petitioners who challenged the NJAC and the government) compile these suggestions for us," Justice Khehar said adding...”tentatively it is not going to be a wholesale change but only within the parameters”. Senior advocate Arvind Datar and Additional Solicitor General Pinky Anand have been designated to compile the suggestions and submit the compilation by Thursday amidst protests from certain lawyers that the court is curtailing an opportunity to join in the consultative process. 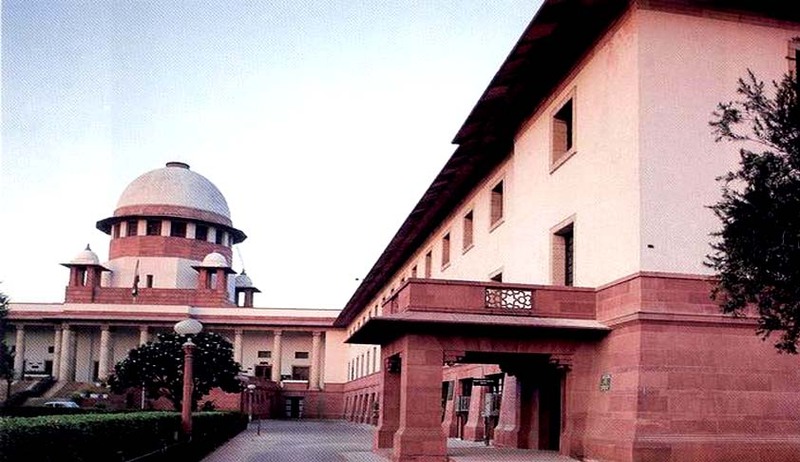 The bench zeroed in on the four points on which it will proceed after all speakers harped on improving transperancy in the process and five of them— AG Rohatgi, Datar, Venugopal, Subramaniam and Dhawan supported the idea of a permanent secretariat for the collegiums within the Supreme Court. They said it should comprise of qualified advocates and will be provided all the necessary facilities and infrastructure including computers. They said the secretariat will be responsible for maintaining a database of judgments and selecting from these the three best judgments of each prospective appointee. Rohatgi who harped on more transparency and accountability said the collegium should not act without recording reasons why a particular individual was appointed a judge. He also also stated that there should be a prescribed criteria in the public domain on appointment of judges. The government has contended that there must be a minimum eligibility criteria for appointment as a judge in addition to the nominations made by the chief justice of high court. Applications should also be invited for appointment as HC judges and names of people who are being considered for appointment as judges should be made public. The government further adds that the collegium must consult senior members of bar before making the appointments. Echoing AG’s view Nariman suggested the constitution of a Consultative body consisting of distinguished jurists, leading lawyers, judges outside the collegiums, Presidents of the Bar and President of the Supreme Court Advocates on Record Association (both for the Supreme Court and High Courts) to assist the Collegium in short listing of the names of the candidates. Justice Kurian Joseph chipped in and referred to the is ‘glasnost and perestroika’ mention in the judgment to say “unless there is glasnost- policy or practice of more open consultative process and wider dissemination of information there cannot be perestroika, that is reform”. Dattar demanded a standard operating procedure. “Pre-short listing procedure should be transparent”, he said. All five judges in the constitution bench — Justices JS Khehar, J Chelameswar, AK Goel, Madan B Lokur and Kurian Joseph in separate judgments had agreed that the collegium system needed to be more transparent and required improvements. Terming NJAC an affront on independence of judiciary, violative of basic structure of the Constitution, in breach of principle of separation of powers and not guaranteeing primacy to the judiciary in appointment of judges, they said even the existing collegium system had faults. Wrote Justice Kurian: “the collegium system lacks transparency, accountability and objectivity. The trust deficit has affected the credibility of the collegium system, as sometimes observed by the civic society”. As Justice Goel said “the executive was at liberty to give suggestions prior to initiation of proposal and to give feedback on character and antecedents of the candidates proposed and object to the appointment”, Justice Kurian echoed the view and said “the active silence of the Executive in not preventing such unworthy appointments was actually one of the major problems. The Second and Third Judges Case (which gave birth to collegium system) had provided effective tools in the hands of the Executive to prevent such aberrations”. Justice Lokur was of the view that the collegium system needed “fine tuning”.